His trial date was initially set to take place from July 16 to 27, 2018. The former Fiji National University vice chancellor Ganesh Chand’s case has been adjourned in the High Court to August 29, 2018, to set a trial date. Justice Chamath Morais told the lawyers that he was willing to schedule the trial as early as next month. 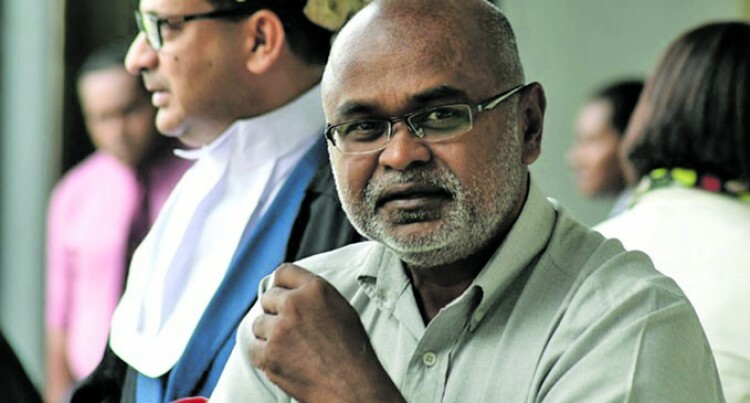 He told Fiji Independent Commission against Corruption senior lawyer, Rashmi Aslam and defence lawyer, Nancy Choo that the court diary was free from October 8, 2018, onwards until November. He said he was tasked with disposing old matters and he would appreciate it if trial could commence by October. Mr Aslam said he would be engaged in an electoral matter in October starting on the 15 and he would be available for trial at the beginning of next year. He mentioned that FICAC handled a lot of white collar criminal cases and they had just a few prosecutors. Ms Choo requested for an adjournment date after August 24, 2018, so that the senior counsel that is handling the case, Devanesh Sharma, would appear in court after he returns from New Zealand. Trial date for Chand’s case was initially set to take place from July 16 to 27, 2018. However, it was deferred because of preliminary issues. It is alleged that between November 14, 2012, and July 4, 2013, while being employed in the public service as the FNU VC, he allegedly abused the authority of his office by doing an arbitrary act for the purpose of gain, namely by approving the payment of $213,905.05 for overseas medical treatment for former Minister of Education and FNU chairman Filipe Bole from FNU funds without the approval of the FNU Council, which was prejudicial to the rights of the university and the council.